Washington, D.C. Friday October 26th – As world leaders prepare to gather in Bali, Indonesia for the fifth-annual Our Ocean conference, Peru has taken bold action to make its national vessel tracking data publicly available for the first time through Global Fishing Watch (GFW). Anyone can now view Peru’s commercial fishing vessels via GFW’s map platform, in near real time, for free. At least 1,300 of Peru’s industrial fishing vessels, most of which were previously undetected by GFW’s Automatic Identification System (AIS) data, are now visible on the public map. For Peru alone, that is a ten-fold increase in the number of vessels that are now publicly trackable via GFW, which will aid national monitoring and control efforts, including combating Illegal, Unreported and Unregulated (IUU) fishing. The host of Our Ocean 2018, Indonesia, became the first country to make its proprietary vessel tracking data available via GFW in 2017, instantly putting 5,000 smaller fishing vessels that do not use AIS on the GFW map. Peru is now the second nation to share its vessel tracking data via GFW. GFW uses publicly broadcast AIS data to track fishing vessel movements. While AIS is required for the largest vessels that catch a disproportionately large amount of fish, adding Vessel Monitoring System (VMS) data, which is required by many governments, to the GFW map provides an even clearer view of global fishing activity. Peru is the world’s second largest fishing nation after China and home to one of the world’s largest single stock fisheries – the anchoveta. 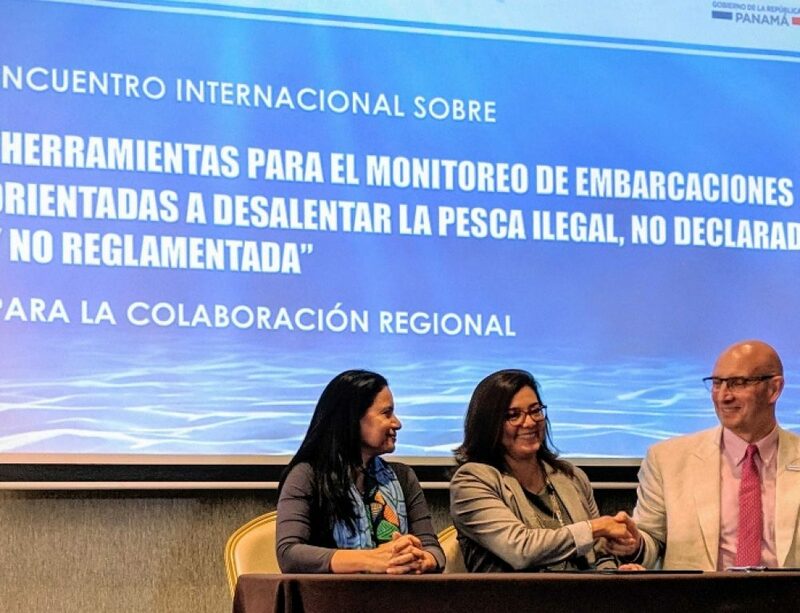 Oceana, a founding partner of GFW, has worked closely with the Peruvian government to increase transparency of commercial fishing in the country’s waters. Peru’s efforts come after the Canadian government’s formal statement of support for the work of GFW at the G7 ministerial meeting in Halifax earlier this month, and their commitment to encourage better data sharing, improved science and invest up to $11.6 million to combat IUU fishing. “We are entering the age of transparency and it is an empowering concept that can transform business as we know it, and that includes helping to manage fisheries sustainably so that we can save the oceans and feed the world,” said Jacqueline Savitz, Chief Policy Officer at Oceana and co-founder of Global Fishing Watch. Global Fishing Watch (GFW) is an international non-profit organisation committed to advancing the sustainability of our oceans through increased transparency. By harnessing cutting edge technology, our mapping platform allows anyone to view or download data and investigate global fishing activity in near real-time, for free. GFW was founded in 2015 through a collaboration between Oceana, SkyTruth and Google. Our work is made possible thanks to the support of our funding partners and technology and data providers. Oceana is the largest international advocacy organization dedicated solely to ocean conservation. Oceana is rebuilding abundant and biodiverse oceans by winning science-based policies in countries that control one third of the world’s wild fish catch. With more than 200 victories that stop overfishing, habitat destruction, pollution and killing of threatened species like turtles and sharks, Oceana’s campaigns are delivering results. A restored ocean means that one billion people can enjoy a healthy seafood meal, every day, forever. Together, we can save the oceans and help feed the world. Visit www.oceana.org to learn more.